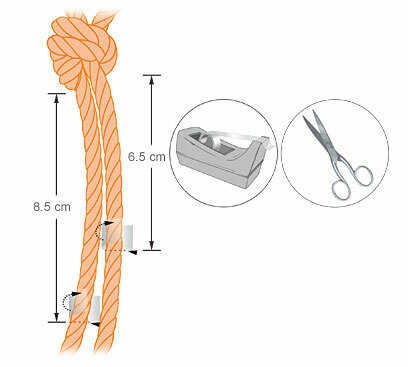 Cut 53cm of the 6.5mm cord and tie a knot as shown in the magnifier in this step. 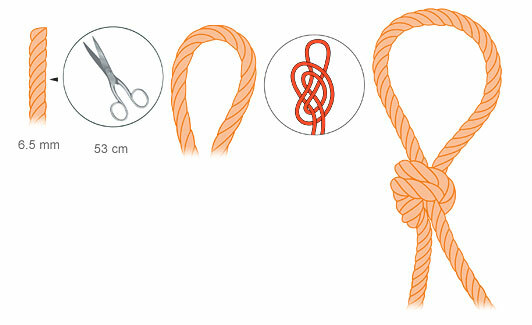 Loop of knot should be about the size of a rolled napkin. Cut the cord endings to a length of 6.5 and 8.5cm and wrap some tape onto the ends as shown. Cut 73cm of 0.3 mm black wire. Wrap it around the long cord end keeping one very long end and one short end. (The short wire end should not be more than 2cm long.) 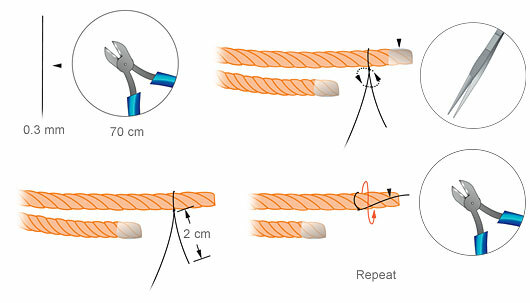 Twist the ends as shown in the illustrations. Remove the tape using tweezers. Bend the short end parallel to the cord and cut off the wire with a flush-cutter. Wrap the longer end on to the cord. 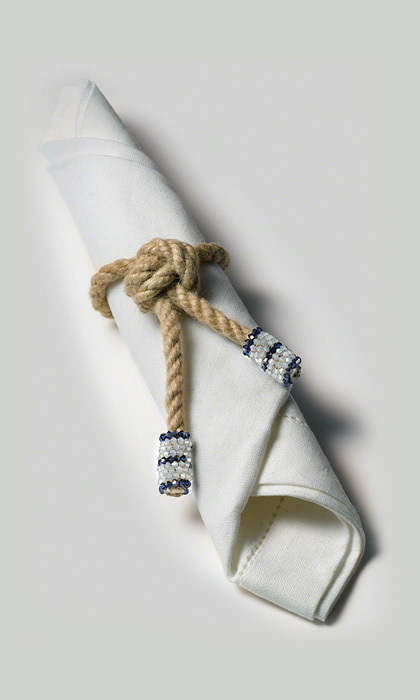 Wrap the wire with the Swarovski crystal onto the cord as shown in the illustrations. Pull the wire tightly and over the first row of XILION beads and under all the other rows and bring it back over the last row and under all the other rows. Cut off the extra wire with a side-cutter. Repeat Steps 3-5 in order to attach the crystal rows onto the other end as well.